We’ll bring your products to you for free within our normal delivery area! Free delivery within striking distance of our stores. * Delivery charge will apply for deliveries in outlying areas. Need it NOW? Just let us know and we can get what you need when you need it. Each of our locations can deliver to any building project – we do not use zones or pre-defined delivery days. We have pickups, flatbeds, boom-trucks, spider trucks, and box trucks – all capable of getting products to you in the best and most timely manner. We’ll visit your home or job site to help with decisions, troubleshoot problems, and monitor progress, offering years of expertise and stability. We’ll also take measurements for you! Our staff includes a team of estimators and salespeople who can create a material list for your project when the design is complete. One of them will turn your plans into a material list with a quote. Our salespeople can easily convert this quote to one or several orders, depending on your needs. We can also set certain items or categories as options and you can decide if you want to see them in the total or not. Head out back, after placing your order, to our customer service area where you’ll be met by one of our yard personnel who will assist in sourcing your materials and loading your vehicle. Hammond Lumber Company warehouse facilities are clean, well organized and drive through accessible. Designed to allow our customers to get what they need in a safe and time-efficient manner. Don’t have the right vehicle to safely load or transport your materials? 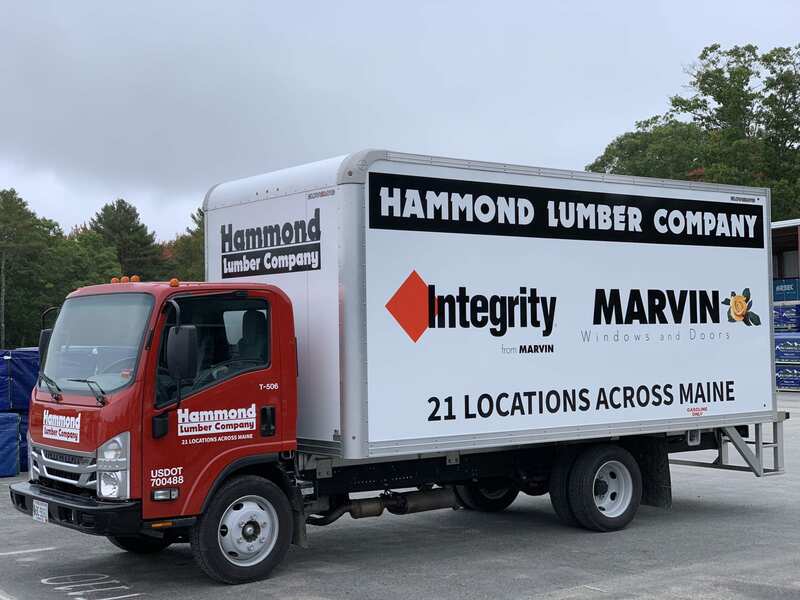 Hammond Lumber Company offers free delivery within striking distance of any of our stores! Schedule a delivery with your salesperson.